Police in Central Texas say a woman threw dog feces at a man, lobbed a rock at him and then spat on him when he failed to pick up after his pet. Rebecca Trammell, 46, of Austin was in custody Friday at the Travis County jail on charges that include aggravated assault with a deadly weapon. 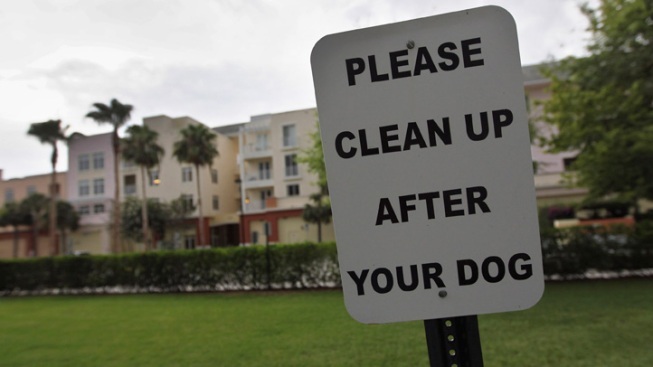 An arrest affidavit contends Trammell was at her apartment's dog park this week when she became upset that the man hadn't removed the dog waste. Trammell told police she also confronted a second man for not having his dog on a leash. That man sustained a cut to his hand when Trammell allegedly grabbed the leash he was holding and pulled it toward her. Online jail records did not indicate an attorney for Trammell.